There is a new development version of the ethminer 0.11.0 (source) available that brings CUDA performance improvements especially optimized for GTX 1060 GPUs. 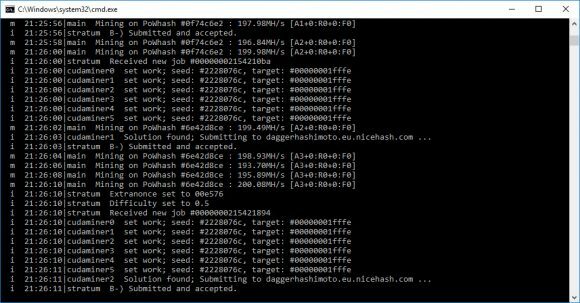 People are reporting a couple of megahashes increase in the performance of GTX 1060 GPUs over what they are getting with the same settings from Claymore’s ETH miner, some slight, but less performance improvement is observed in GTX 1070. Unfortunately it seems that the performance optimizations submitted by David Li don’t do much good for GDDR5X GPUs like the GTX 1080 and GTX 1080 Ti. 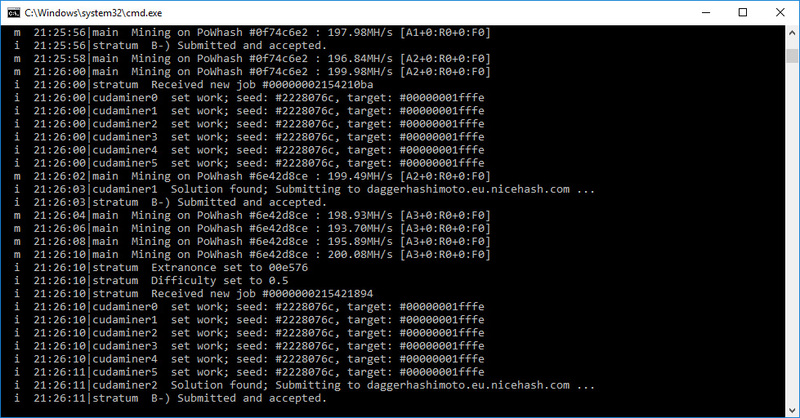 Feel free to test it on your Nvidia mining GPUS and report what and if there is some improvement in the hashrate over your previous settings. If you do make sure you try different value for the --cuda-parallel-hash command line flag (default value is 4), but you can experiment with 1, 2 and 8 and see what works best for you. Again the highest benefits are apparently observed on GTX 1060 GPUs as the performance optimization is apparently targeted at them, though some other GPUs might still benefit a slight boost as well. You can download and try the Windows binary compiled from the latest source below.